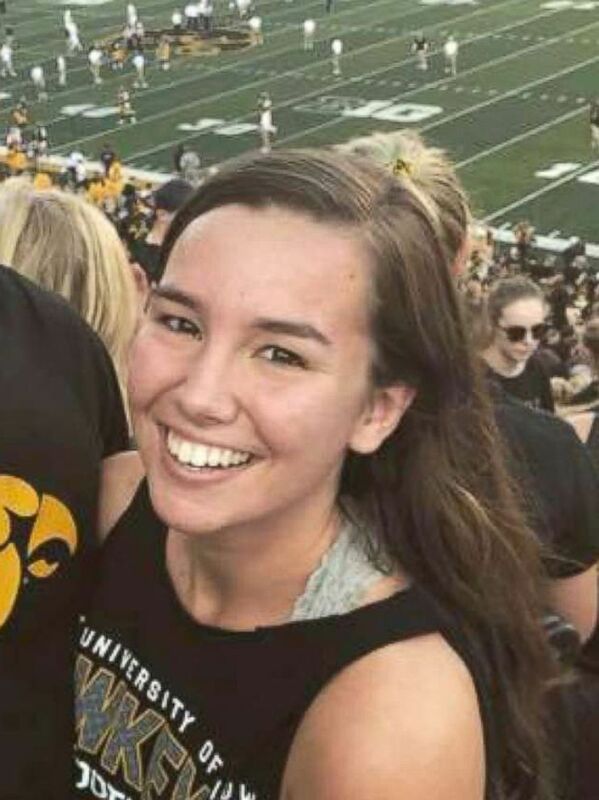 An Iowa man said police officers searched his home in connection to the case of Mollie Tibbetts, the University of Iowa student who vanished last month after going for an evening jog. In an exclusive interview with "Good Morning America" on Thursday, Devin Riley said he contacted the Powoshiek County Sheriff's Office in Central Iowa after Tibbetts was reported missing, telling officers that he may have been "the last person to see her." Tibbetts was reported missing after she failed to show up for work in Brooklyn, Iowa, a farming community of about 1,500 people where the 20-year-old was living over the summer with her longtime boyfriend. "I wish I did know more, but I dread that maybe I was the last person to see her," Riley said. "I remembered seeing her that night. I just felt very weird. Who knows when she was taken in that timeline, but I don't know what happened." Riley said he reached out to authorities after he recognized Tibbetts' picture on Facebook. He said he saw her jogging past his home around 9 p.m. on July 18, the night before her family reported her missing. "I've seen her probably three to four times per week. She'd kind of jog down the street and towards the hill," he said. "I thought nothing of it until I heard somebody was missing, and it really hit me that I hadn't seen that runner since then." "I remember her," he added. "She was wearing like a neon pink sports bra with black capri yoga pants and an armband with her music device, or phone ... hair in a ponytail, just jogging like normal, any other day." Riley said he was hesitant to come forward at first but decided to when he saw her family's pleas for help. It wasn't long before investigators showed up to his home, asking for "a walk through, or search,” he said. "It was pretty terrifying at the beginning because I didn't know what was going on," he said. "I panicked and I put my girls in the bathroom, but they were really polite ... just did the walk through and were out in like 10 to 15 minutes." Officers with the Iowa Department of Public Safety said they've received nearly 800 tips or leads, but they haven’t disclosed many details about the case. 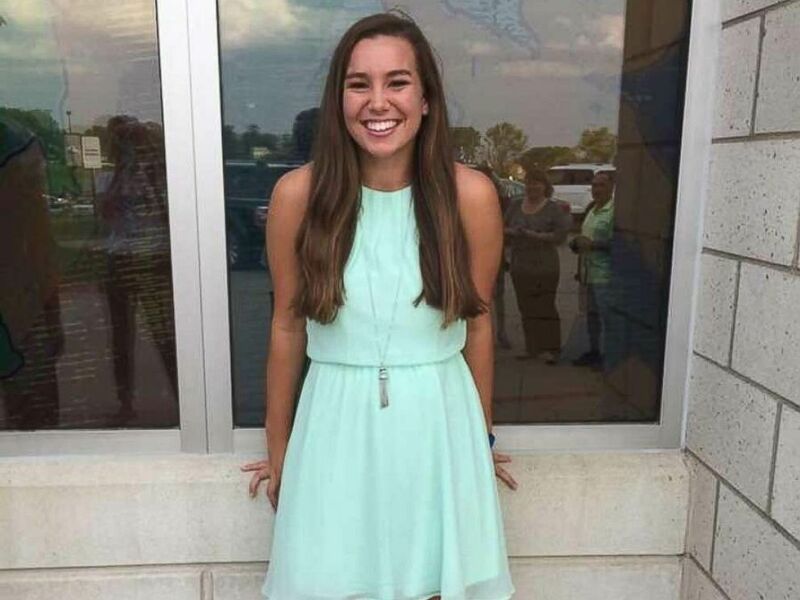 Authorities are offering $313,000, the highest reward on record in the area, for information on Tibbetts' disappearance, according to Crimestoppers of Central Iowa. The missing woman's father, Rob Tibbetts, said he believes his daughter may have been kidnapped. "I do really believe that what happened to Mollie wasn't that someone set out to harm her," Rob Tibbetts said Monday. 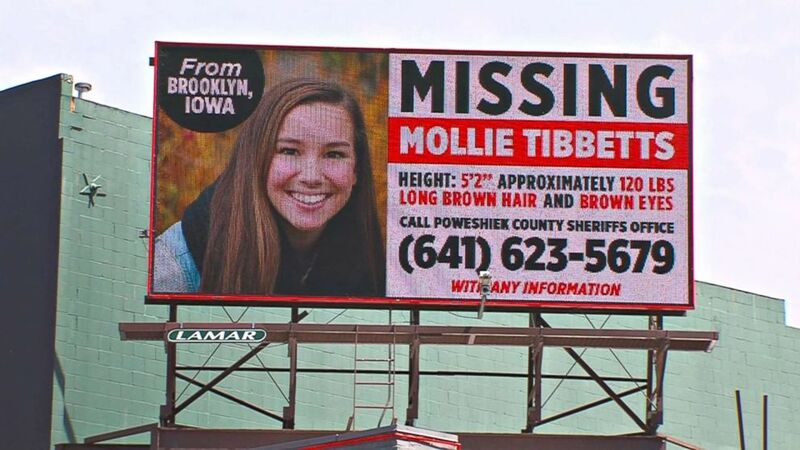 "I think because they haven't found Mollie, that Mollie is still some place, and we can get her home." The woman's story, according to her father, has "struck a chord" with so many because "everyone has a daughter or a sister or a girlfriend like Mollie." "It's gut-wrenching to know that I could have my daughter out here, and I could go inside for a minute and she could be gone," he said. "You assume when you move to a small town that pretty much everyone is close close-knit, everyone knows everyone ... you just do not expect it to happen in a town like this."